Grace Joseph explains why colourful advertisements directed at the LGBTQIA+ community may not be as inclusive as they seem. All jokes aside, rainbow capitalism is never more visible in Sydney than it is around Mardi Gras. Bus stops are covered with glittering St. George dragons, liquor stores have taped posters of rainbow vodka bottles across every flat surface, GayTMs are littered across the city – if you’ve set foot outside at any time throughout February, you'll know what I'm referring to. But if you've ever stopped and wondered just how helpful these advertisements are in achieving LGBTQIA+ liberation, you've uncovered the fatal flaw of rainbow capitalism. Also known as pink capitalism, rainbow capitalism is the act of major corporations targeting the queer community and those that support it in order to cash in on the 'pink dollar' (more on this later). Obviously, it is related to the political and economic system of capitalism, which, for those who need a refresher on first-year sociology, is basically where private organisations make and sell goods and services for a profit, while those who work for them are 'exploited' for a set wage. Australia, as well as a significant proportion of the rest of the world, has a capitalist economy (as opposed to communist or socialist), so it's no surprise that corporations have started tapping into the queer market. The issue is, however, that these corporations 'participate' in LGBTQIA+ events in entirely tokenistic ways. One example that perfectly demonstrates this is the actions of ANZ Bank. 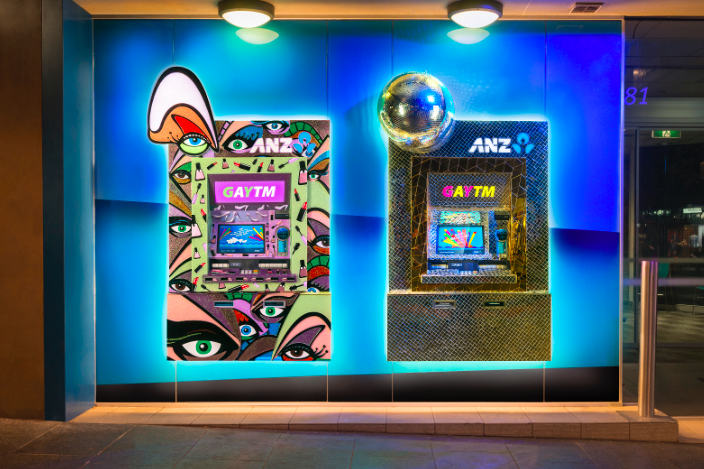 Although ANZ are the Sydney Mardi Gras's principal partner, and have been since 2007, the bank donated $100,000 to the Coalition in the 2017-18 financial year alone. That's the same political party that subjected the LGBTQIA+ community to harmful public debate by refusing to legislate marriage equality without a plebiscite, which is still affecting mental health today. Oh, the irony. The result of rainbow capitalism is that important queer events, such as Mardi Gras and Pride in the United States, become less about the history of struggle and protest and more about making a profit. Therefore, people come along for the party, adorned in their cheap rainbow socks and drunk on their expensive rainbow vodka, thinking that's all they need to do to fulfil their yearly activism quota and contribute to queer liberation. What is the Pink Dollar? It's a well-known fact that LGBTQIA+ people have historically been banished to the margins of society. However, although we have a long way to go, the efforts of LGBTQIA+ activists and protestors have pushed the community out of the shadows and reduced (but by no means eliminated) queer discrimination. As a result, there is a whole new group of people ready and waiting to spend their money. This is referred to as 'pink money': the purchasing power of queer people and resulting willingness to spend at businesses specifically catering for queer needs. Interestingly, an American study in 2015 found that LGBTQIA+ people spent 7% more on average than their straight counterparts. Although I have my suspicions that white, rich people were overrepresented in this study, it justifies why big corporations want to target us. Greed is good, baby. There are many issues with rainbow capitalism, which can be boiled down to two main points. One: as I've already mentioned, companies try to cash in our celebrations, remembrances, and protests, all without lifting a finger to make legitimate change. Jaguar might have provided Mardi Gras makeovers, but what have they done about the disproportionate rates of LGBTQIA+ homelessness? Accor Hotels may have had a fantastic float in the parade, but how are they addressing the fact that trans people are five times more likely to be depressed than the general population? Obviously, they're not going to fix everything singlehandedly – but when you're a million-dollar company with international reach, you've got a better platform than the rest of us. The second con of rainbow capitalism is how it impedes grassroots activism. It's so much easier to add a rainbow to your Facebook DP or use a rainbow bank card (yes, this is a thing that St. George Bank actually does) than it is to protest, rally, start a petition or call your local member. So of course, people are going to take the easy route and buy into rainbow capitalism instead of tangibly affecting change. Additionally, they might be inadvertently supporting an anti-LGBTQIA+ message – see ANZ's political donations for proof. In my eyes, rainbow capitalism's only redeeming feature is the potential for LGBQTIA+ people to display their sexuality and gender proudly. I have gay paraphernalia littered throughout my room, and I'm not immune to a few rainbow temporary tattoos when the situation calls for them. But, in my opinion at least, I'm totally allowed to demonstrate my pride as long as I am also actively fighting the issues that the community faces. Also note: actively fighting often just means simply being a queer person in this hetero-dominant society of ours. Ask yourself these questions (they'll involve some research and informed purchasing! ), and you'll be well on the way to prioritising queer liberation over empty rainbow capitalism. Where is the money from this product going? Will it benefit the LGBTQIA+ community or not? Is the company operating ethically e.g. paying their employees correctly, stamping out discrimination? Have there been any anti-LGBTQIA+ statements issued by the company or anyone in it? Am I buying this with the genuine intention of supporting the LGBTQIA+ community, or am I trying to demonstrate to other people that I do? Am I going to this queer celebration with the full knowledge of what it took to get to this point? Fighting rainbow capitalism isn't easy, but it's a process that all of us have to go through. But as soon as you start questioning your motives and the motives of big companies, you'll start realising how important it is to undermine rainbow capitalism. Grace is a second-year Communications/International Studies student, who majors in Creative Writing because she wants to be a barista for the rest of her life. She's probably the only uni student alive who'd rather wake up at 5:30 am than still be awake at 10:30 pm - an early bedtime each day keeps the doctor away (maybe).